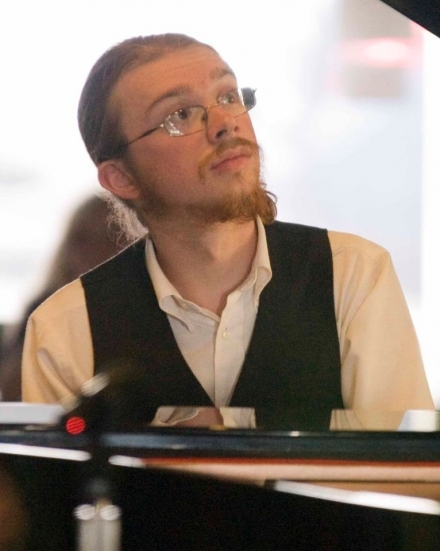 Milo Graamans will be performing his second solo piano concert in Kathy Parsons’ MainlyPiano House Concert Series on Friday August 3rd at 7:00 PM. Milo is a pianist and composer based in Newport OR. He grew up in Yachats and started taking piano lessons at the age of 4 through the Oregon Music Teachers Association. Milo went to University of Oregon in 2011 to continue studying music, but dropped out during his second year in order to finish his musical, She Loves Me Not and to pursue performance opportunities on the coast. In addition to performing his own concerts several times a year, Milo is the organist and choir director at Yachats Community Presbyterian Church and the accompanist for Central Coast Chorale in Newport. He also plays regularly in pit orchestras for community theatre. Milo is an exceptionally versatile pianist, and his concert will include a mix of original music, classics, ragtime, and some surprises. There is an interview with Milo on MainlyPiano.com. There is a suggested donation of $20 at the door and all donations go to the artist. Reservations are required by emailing Kathy Parsons at kathypiano@gmail.com. The address and directions will be given when reservations are made.